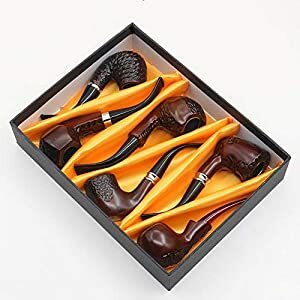 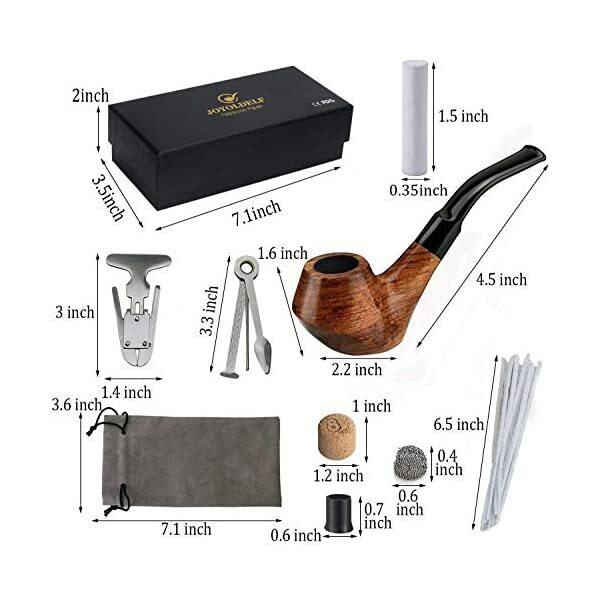 ROSEWOOD TOBACCO SMOKING PIPE SET: Comes with completed smoking accessories, pipe filters, reamer and 3-in-1 scraper, metal balls, cork knocker, pipe bits, pipe cleaners and pipe pouch. 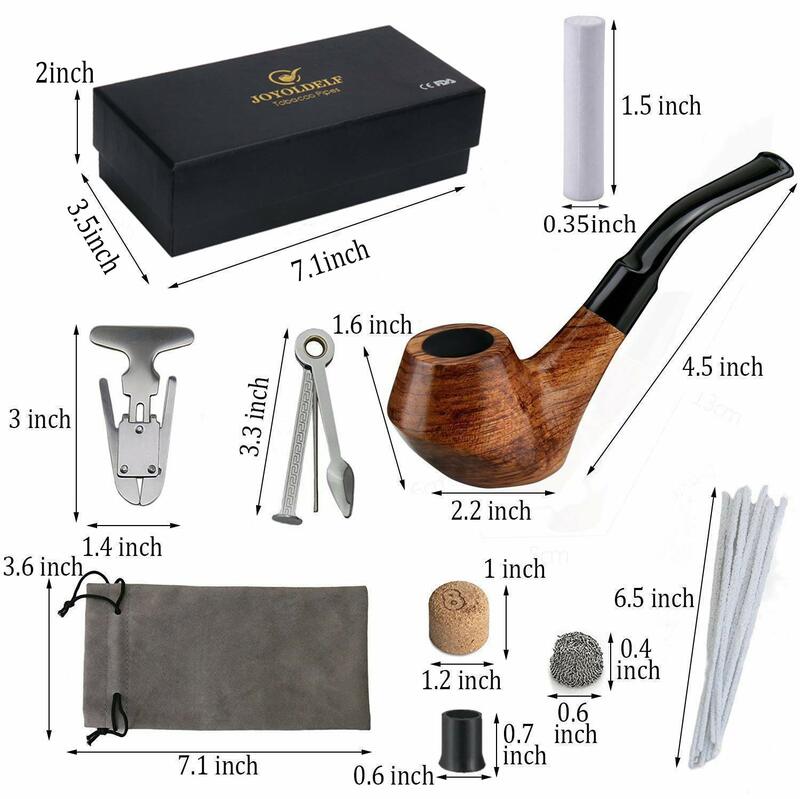 Especially bonus a pipe box, perfect for taking it as a gift to your lover, father, brother, friends on some special days, such as birthday, Christmas day, Father’s day etc. 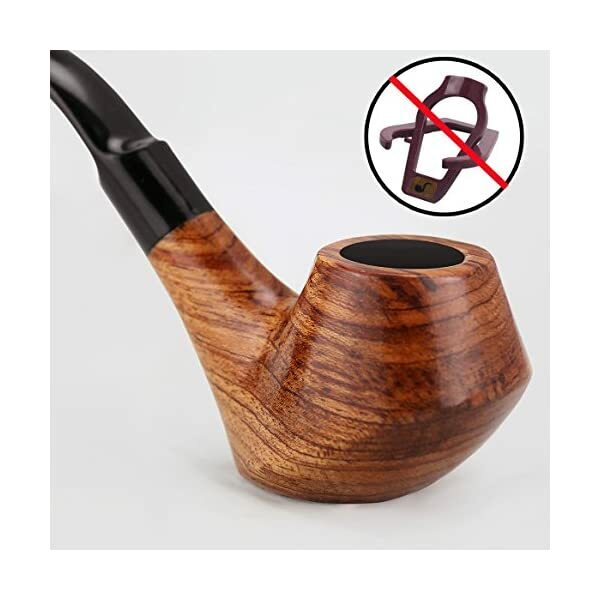 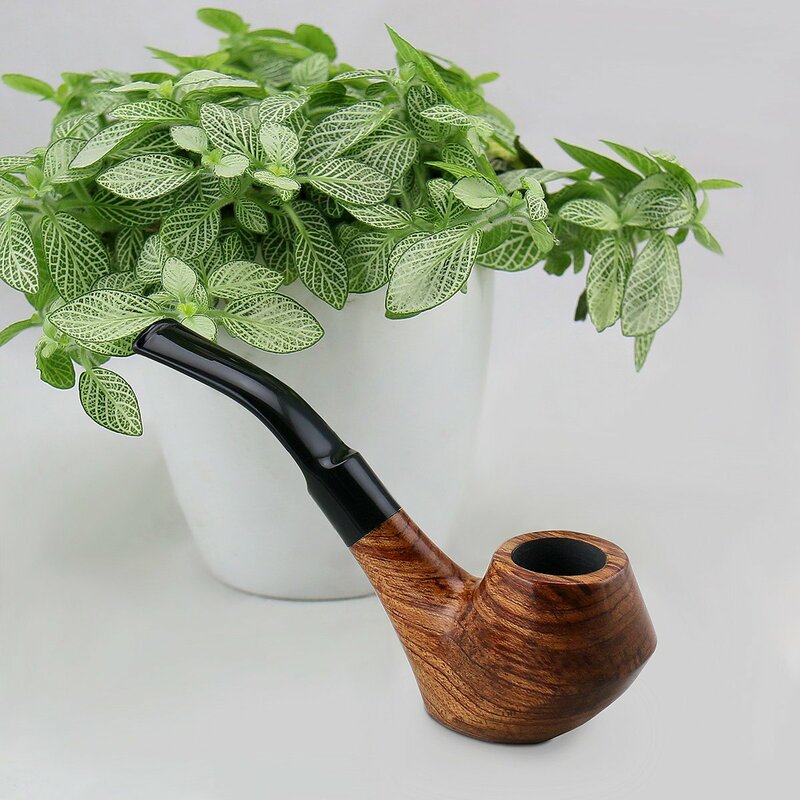 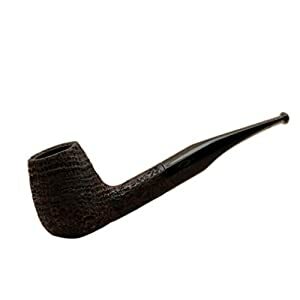 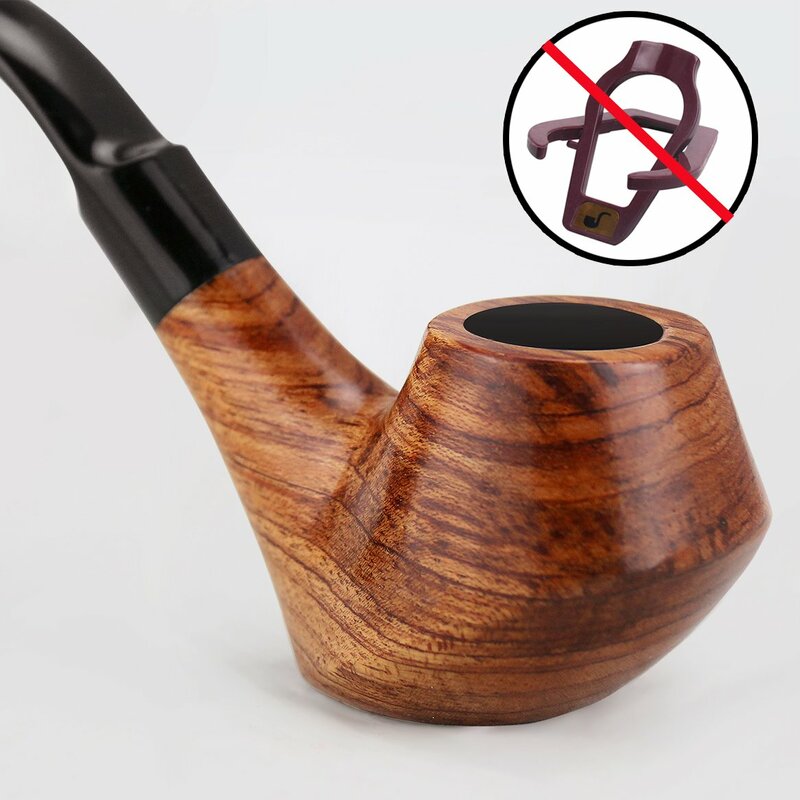 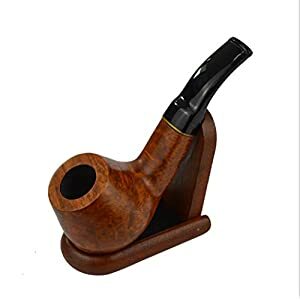 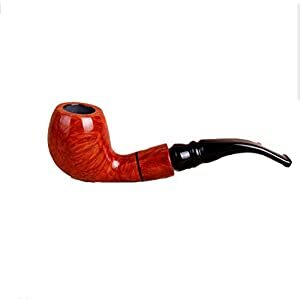 UNIQUE SHAPE DESIGN: This pipe is designed with creative shape – flat bottom, well stand on the desk, no need pipe stand holder; the unique shape of bowl is very cool, which is different with your other pipe. 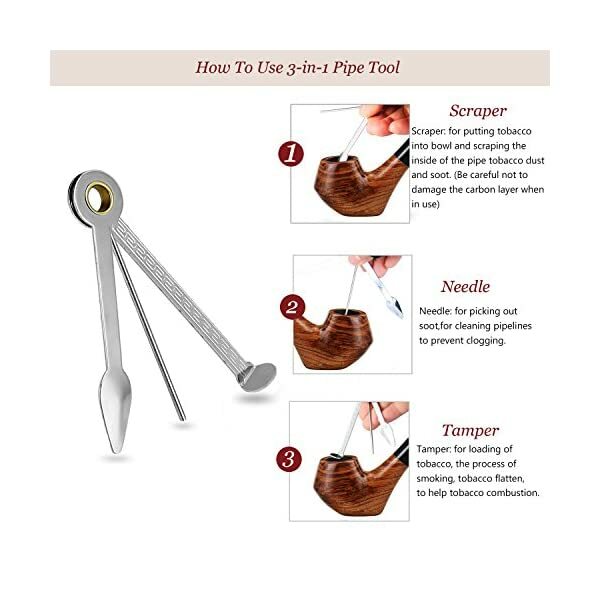 If you are pipe lover or pipe collector, a must have for you. 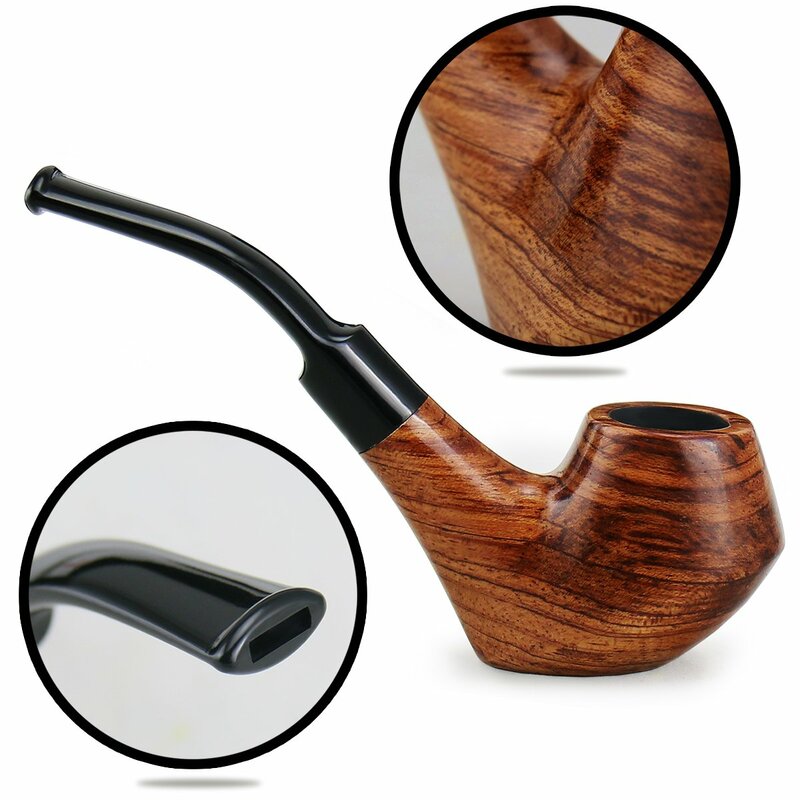 SUPERIOR MATERIAL AND EXQUISITE MADE: made of high quality rosewood, well-constructed and smooth on the surface, very durable; adopted elaborate polish, to make it looks more delicate and beautiful. 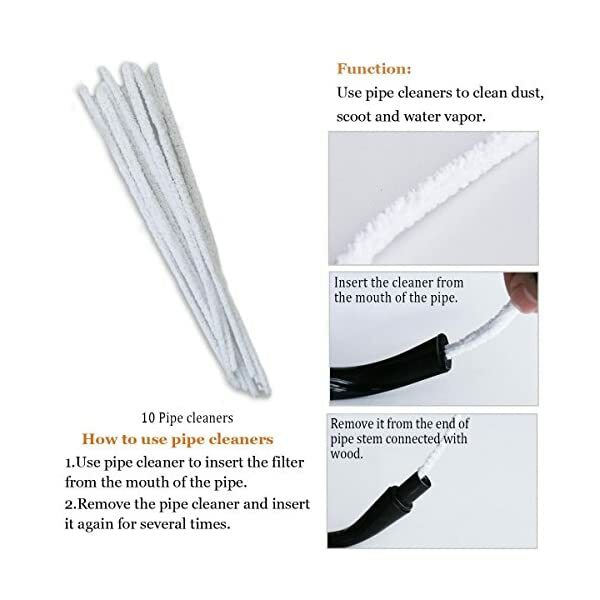 1.Please make sure the pipe cool completely before cleaning. 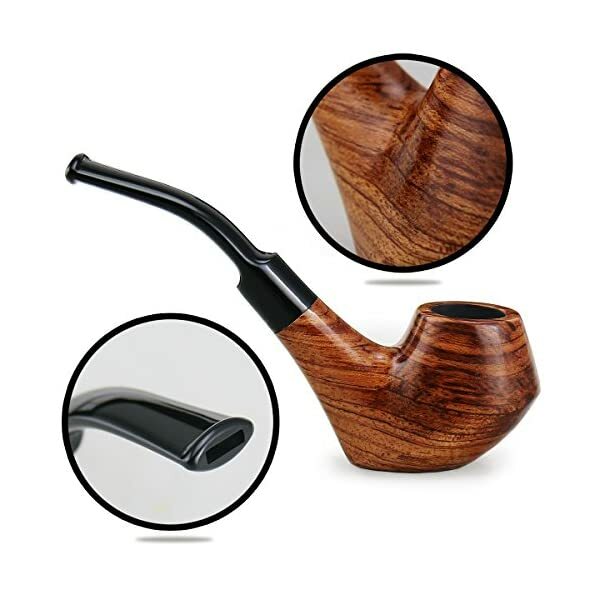 Never clean while it is warm as it may cause cracks. 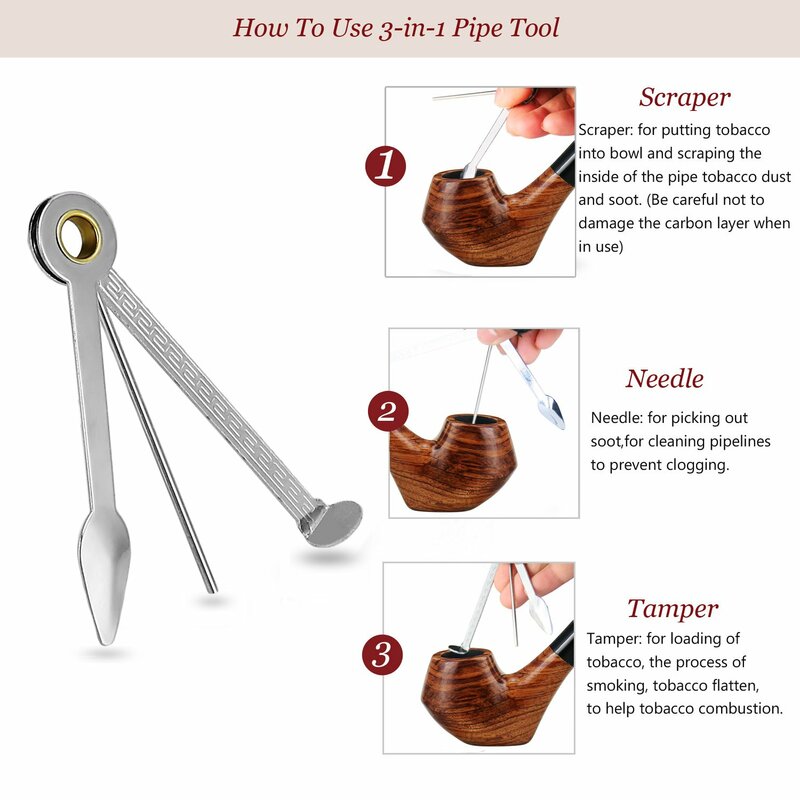 2.Before each smoke, run a pipe cleaner through the stem and tap out the remnants of ash and tobacco. 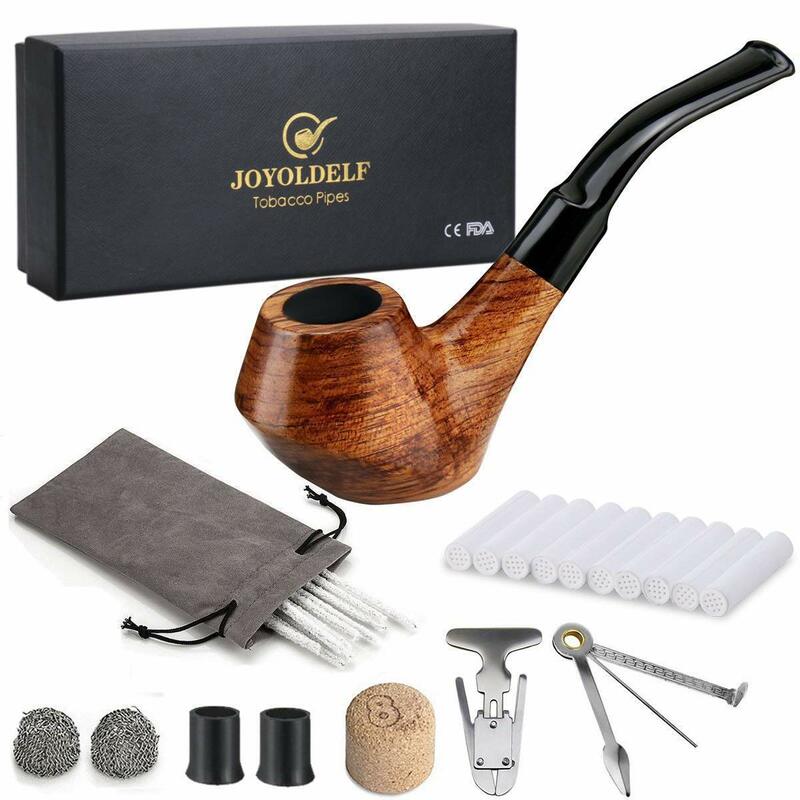 CLEANING WILL BE EASIER: Detachable pipe is equipped with pipe cleaners, a reamer and 3-in-1 scraper, cleaning will be easier after smoking. 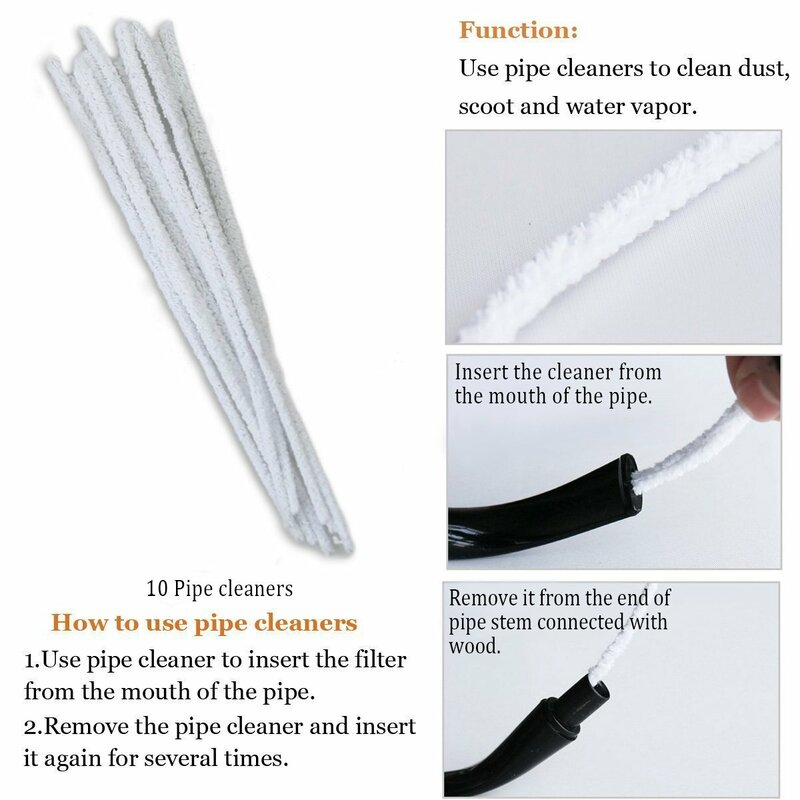 The reamer is convenient for removing the exceeded dust, 3-in-1 scraper can reduce the soot and residue, pipe cleaner can clean the pipe stem. 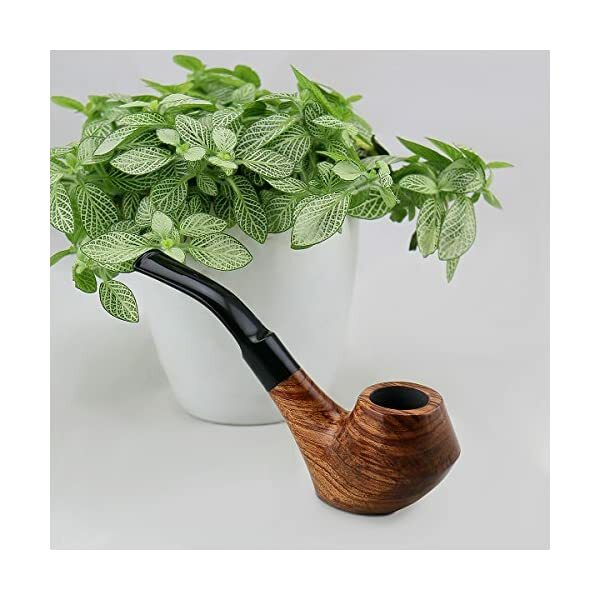 Then you can enjoy fresh tobacco. 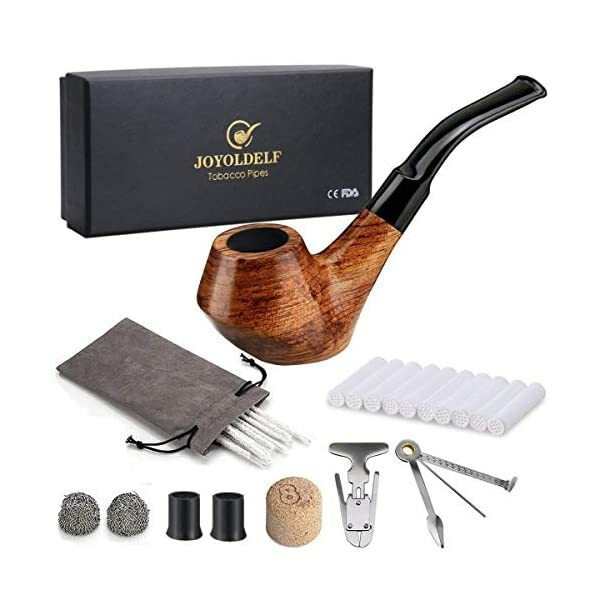 EXCELLENT PROTECTOR FOR YOUR PIPE: Bonus a pipe pouch, easy to carry the pipe and accessories when going outside, excellent for protecting your pipe from being damaged for careless or losing some accessories.